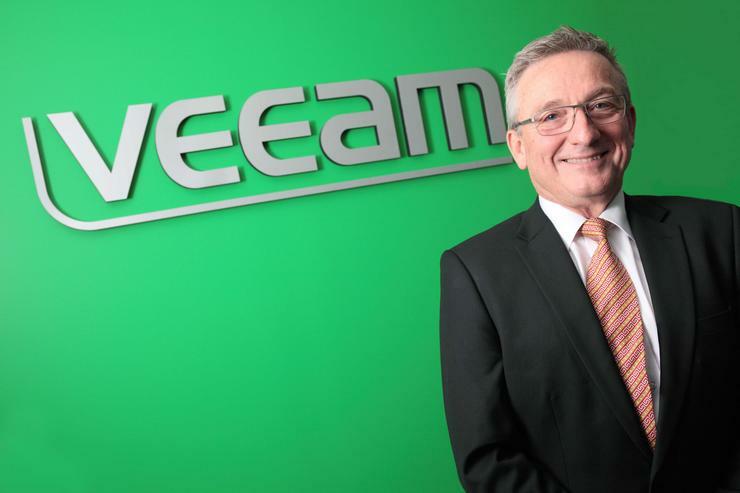 As 2015 draws to a close, Peter Bender, Veeam Software A/NZ Channel and Alliances Manager looks ahead to 2016, advising Reseller News of some important trends to highlight for the local channel market. As the demand for being an “Always-On” business continues to increase in importance with your customers, availability remains the key. Immediacy will be pivotal across many levels - users will continue to demand unfettered access to applications and data 24/7 from wherever they may reside, but this demand will accelerate as device innovation progresses and the roll-out and proliferation of higher speed networks (4G, LTE, 5G and so on) continues. In 2016, companies will draw the line and migrate to the next generation of application technologies to keep up with competitors. For some businesses this migration will be challenging, however it will be worth it to deliver on the bottom line - there will be new benefits from an IT perspective as well as businesses having a unique opportunity to re-evaluate their business. The traditional partner approach to availability is the idea that, if it's not broken, don't fix it. However, there is a lot of competitive pressure and partners have to change. To help partners better serve customers however, they must make use of assessment and implementation services available to them. 2015 will be remembered as the year that wearables went mainstream and beacons became more widespread to truly enable the Internet of Things. Next year, IoT will bring availability to the fore. The worldwide market for IoT solutions will swell from $US1.9 trillion in 2013 to $US7.1 trillion in 2020 according to IDC forecasts. More than two-thirds of consumers plan to buy connected technology for their homes by 2019 with almost half planning to buy wearable technology. The IoT has been high on the media agenda for a while and now it seems users are beginning to accept it and vendors are delivering solutions that truly excite consumers - this will throw up significant challenges for IT departments in the near future. As we move into the IoT era customers will need to continue the virtualisation and cloud route. Although IoT adds to the pressure for service and data availability for data centre managers, it also brings exciting opportunities for businesses and consumers. Of course, connecting everything puts pressure on organisations that are delivering IoT. The biggest challenge is enabling the mutual flow of data that is powering the activity of these devices - this is particularly true when everything needs to be always-on and constantly available in order to operate correctly. Business opportunities remain strong in Cloud. More than ever, businesses need to understand their customers’ business requirements and where Cloud technology (public, private, hybrid) can realistically help. In 2016 it will be critical for businesses to utilise and capitalise on big data. Big data will drop its “big” label and instead come to be viewed simply as data to be employed effectively for customers, partners and staff. Businesses will be able to increasingly focus on interfaces and connecting end users to data, further elevating the importance of availability of service delivery. Read more ​Is it time to control cloud sprawl? With cloud-based infrastructure becoming standard amongst businesses, new service offerings are growing in popularity and market share. As a result, Disaster Recovery-as-a-Service (DRaaS) stands to be a game changer in 2016 because it enables businesses to meet and exceed customer and employee expectations around availability. But as important as Cloud technologies are, don’t assume that Cloud is the answer to everything and be prepared to challenge the thinking of both an organisation and their customer(s) and keep the focus on meeting business requirements. Finding the balance between Cloud and on premises that will keep a business relevant in the eyes of clients is crucial. Ask yourself this question, “is Cloud a great solution looking for a problem”? Every customer will have a view and a plan to investigate how Cloud technologies can be leveraged. That is why it is vital that you ensure the company has a message and offerings that address where Cloud fits. This might sound obvious but make absolutely sure customer facing people understand and can articulate the Cloud strategy.